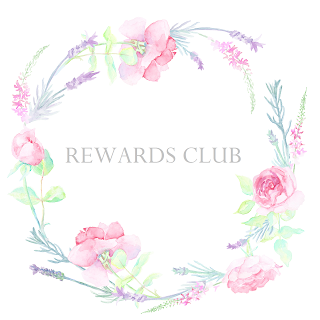 My Rewards Club is for my customers who shop with me and use the Hostess Code for orders below £150 which I generate each month and which is clearly displayed on the Home page of my Blog. In order to participate you must remember to add the Hostess Code applicable for the month you are ordering your products. To be eligIble your order MUST be over £20 (excluding Delivery Charge) and you must use the code. I change the Hostess Code at the beginning of each month and this can be found here on my Blog. Please enter the code in the box in your shopping trolley before you checkout. That way your order will be automatically grouped with other orders from customers who have entered the Reward/Hostess code applicable for that month. At the end of the month I will close the Reward/Hostess Code, allocate the reward credits to everyone who participated in the Reward Club for that month, rewarding each qualifying customer with some lovely Stampin’ Up! products. All gifts will be dispatched separately from your main order and I will send them myself through the Royal Mail at no cost to you. I hope this will act as an added incentive to shop with me. You will receive you Reward from me as well as the "Thank You" gift that I send to my customers when they place their initial orders. What you must remember though is never to quote the Hostess Code for orders of £150 or over. Because that ensures you can choose a free SU Hostess Gift as you place your order. So you will benefit from a free Hostess Gift from Stampin' Up! TO AVOID DISAPPOINTMENT YOU MUST REMEMBER TO ADD THE HOSTESS CODE AT THE TIME YOU ORDER, AS THIS CANNOT BE ADDED AFTERWARDS.